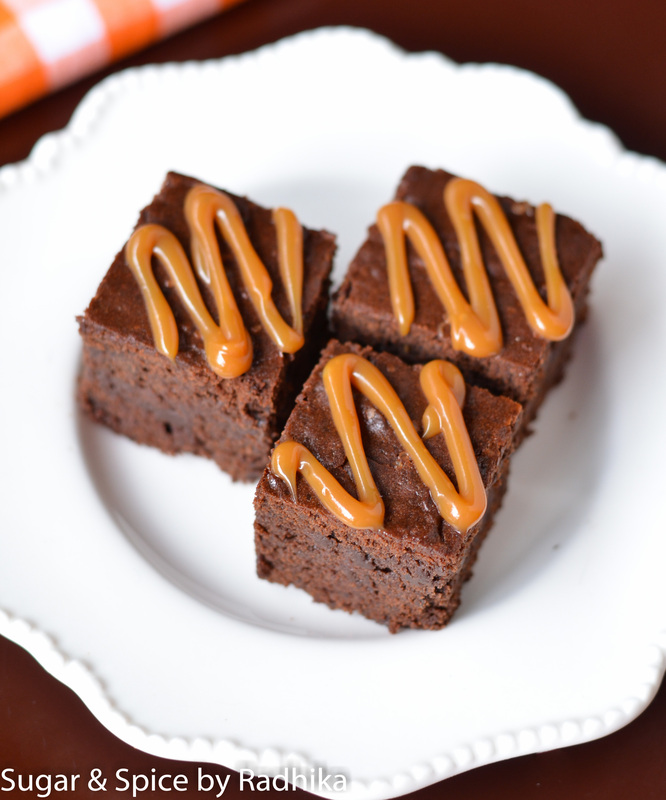 Gooey dark chocolate brownies with drizzles of caramel over the top! Isn’t this the most desirable dessert ever? Try it today! 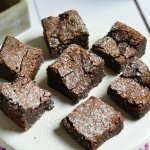 I have a huge variety of brownies on my blog (find the recipes at the end of the post) so you might’ve guessed that obsessed with them. 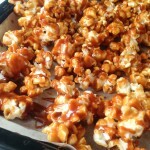 They not only taste great but are soooo easy to make. 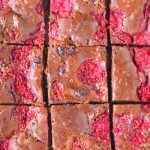 And my brownies are bang on the best you’ll ever have btw so they are not to be missed. They’re gooey and chocolate and not cakey at all. Try them out yourself and let me know what you think! *All CUP measurements are for Measuring Cups. Please do not confuse them with regular tea cups. A measuring cup is bigger, please refer to weight measurements in case you’re confused. In another bowl, whisk butter for a few minutes until light in color and fluffy. Add in the sugars and whisk again for a 3-4 minutes. Add in the condensed milk and whisk thoroughly for only a couple of minutes. Add in the dry flour mix set aside to the wet mix little by little until everything is evenly combined. DO NOT OVERMIX or your brownie will sink in the centre. Mix until you no longer see dry flour, then add in the milk and incorporate with the batter followed by the melted chocolate and vanilla essence. 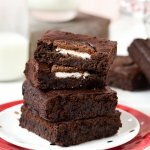 Let your brownies cool completely (preferably for 3 hours) before you transfer them to a wire rack. Cut them in equal squares. 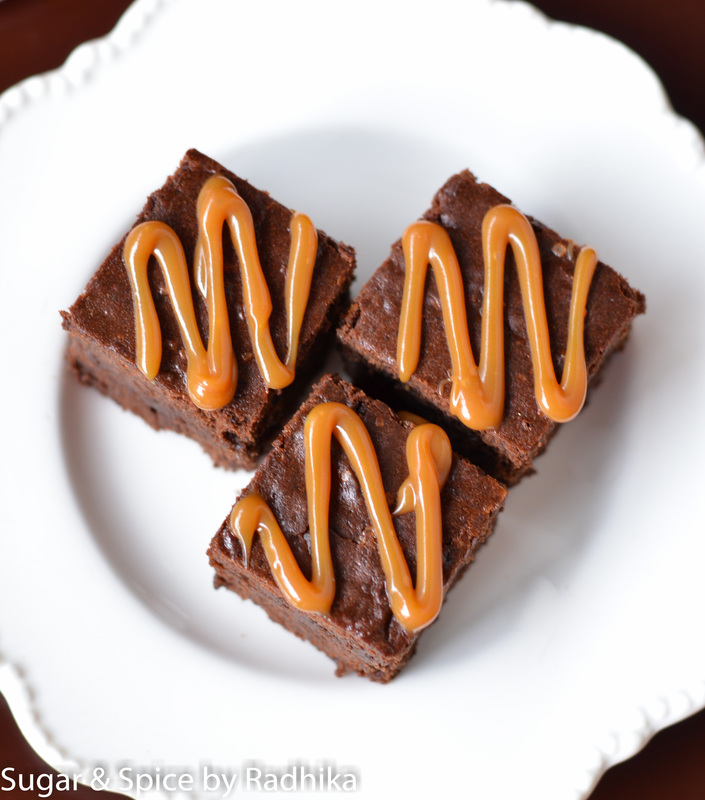 Once your brownies are completely cooled, pour your caramel sauce in a piping bag and pipe it in a zigzag motion onto your brownie square. 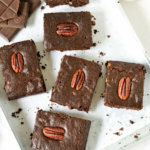 If you love brownies, why don’t you try my..
Gorgeous brownies! You always tempt me with your awesome chocolate confections, Radhika. I might have to bill you for my gym membership. 🙂 Fab photos, dear! Hahahaha That cracked me up ! Oh Radhika!!! These look soooooooooooo good! 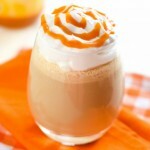 I am such a Carmel gal so I am all about these. And no problem at all. Ask whatever you want ! 🙂 Happy to help. A 10×10 inch will be okay.. Just make sure you’re measuring it diagonally and not length-wise. 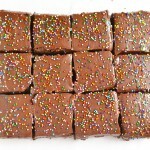 The brownies will be little thinner and you might have to take them out after 20 minutes instead of 25. I know it’s kind of obvious through the name.. But I’m not a huge fan of caramel.. 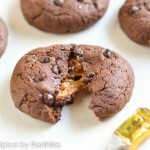 So instead of caramel can I use nutella in this recipe?? Hi Vandana! I’ve never really baked cakes in cookers so I’m really not sure how that works. If you’ve done it before then try baking this too, maybe it’ll work out well. Keep me posted! Thank you Jyoti! They shouldn’t be sticky, that means they were probably undercooked. Bake them longer next time.